A new generation of companies is on the rise. They master constant change, grow quickly and innovate at an unprescedented speed. The key to that is an entrepreneurial and innovation driven culture – rather than a mindset that is dominated by fear and cost cutting activities. In addition to that, these new generation companies smartly integrate specialized suppliers into their operation and use the best resources available. To also become and stay influential, Hitchensen Professionals support this new generation with consulting, training and hands-on activities. We help new companies to form and existing ones to transform to become the next generation of companies. No idea shall ever die due to shortcomings in business topics. We are on a mission to relieve smart solutions from commercial and business challenges – in order to transform good products and services into great ones. With the right commercial platform they also become successful ones. Besides the core competencies of a company or organization, we see four levers of growth that have to be under control. Apply them smartly to outperform competing companies and concepts. We support companies, organizations and individuals with advice, hands-on execution, coaching and training. Experienced professionals advise, execute and empower. We constantly learn and reflect on our assignments in different areas and industries. Since 2011 our services help start-ups to structure and market their offerings as well as small and large companies to manage their vendor- and customer relationships. We are working to build a future where companies and organizations embrace a start-up-culture, foster innovation and entrepreneurship and set-up suitable cost structures as a basis for future growth. From 0 to 1: We help you to design the entrepreneurial concept, to create, to launch and to grow products and services with a purpose. In start-ups and established companies, road blockers mostly come from a missing match of “what can be build” and “what should be build”. We see a solution for avoiding this mismatch as early as possible. 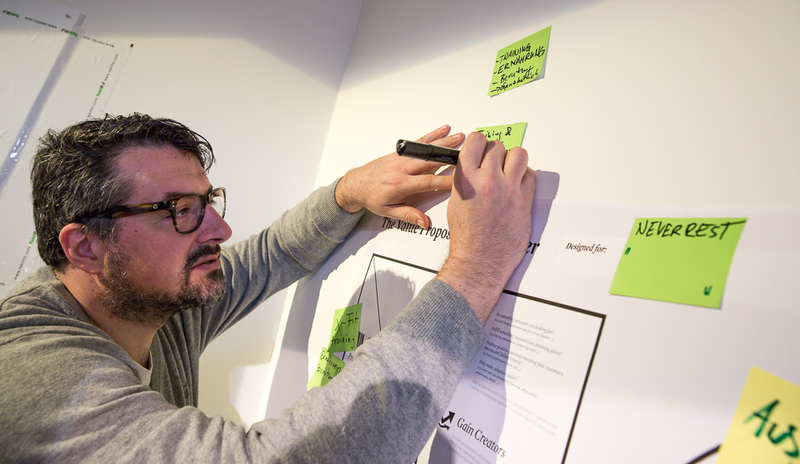 In our INTENTIONAL_DESIGN approach we combine, apply and teach the Lean Startup philosophy and the Customer Development Process (Steve Blank, Eric Ries) as well as the Business Model Canvas and the Value Proposition Canvas (Alexander Osterwalder). These concepts are suitable for all startup initiatives in small and large organizations. Another focus topic is the REALITY_CHECK – to take an idea or concept and to get in contact with potential customers as quickly as possible. This helps to assess early-on whether you are pursuing a vision or a hallucination. Insights gained lead to evolved ideas and concepts, which in turn again should be tested in the real world. This process of “validated learning” helps to massively increase market acceptance and reduce market risks. The implementation of ideas and innovative concepts happens by smart organization of separate new and existing elements. We call this process IDEA_ENGINEERING. We enable managed relationships with suppliers and internal stakeholders. To stay flexible, control risks and get the most value out of your spend, we provide advice, execution and training in a wide selection of topics. Besides the know-how of how to organize a strategic procurement organization we have also expertise in setting-up and actively managing supply chains for start-up firms and small enterprises. We organize the gained experiences in our EVOLVE_WITH_THE_PROCUREMENT_CIRCLE concept: procurement principles and guidelines, early procurement involvement and cross-functional collaboration, sourcing strategies, negotiation design and support, e-auctions, procurement controlling, supplier management and material group management. We enable managed relationships with your customers. To enable you to exploit your full growth potentials with existing and new customers we support you develop your customer base with innovative marketing and sales concepts, with lead generation and with sales activities including prizing strategies. Instead of sole Business Development we evangelize Customer Development which is to be paired with product development instead of being executed as an afterthought. We have invented the KAM_ON_TRACK methodology that enables your sales team to gain additional speed because it fosters learning from customers and their needs like no other concept: instead of managing accounts, sales managers manage tracks of channeled activities. We provide advice, execution and coaching & training. We ensure projects are delivered in time, budget and quality. Implementation is what counts at the end of the day. Having success with great ideas is the privilege of those who can actually implement them. To lower the burden of implementation we support the management of your projects with proven (agile) methods and tools. We help you implement strictly and align the involved stakeholders and organizational aspects. ADVICE – Need for consulting services? Clients benefit from our expertise and experience in different industries and organisations. We advise individuals, small and large organisations who want to grow new ideas and to develop or enhance their corporate processes. EXECUTE – Need to get things done? As Freelancer, Interim Manager and with specialized partners we support where needed. With a solid background and a hands-on attitude we get things done and take care of the items which are not part of your core business, but still are relevant for the continued success. EMPOWER – Need for expert knowledge? A successful implementation and change relies on knowledge. We define, run and moderate workshops, create and conduct training programs and provide on-the-job coaching. As a side topic we have developed an ESCAPE_PROGRAM for employees who want to do something different. 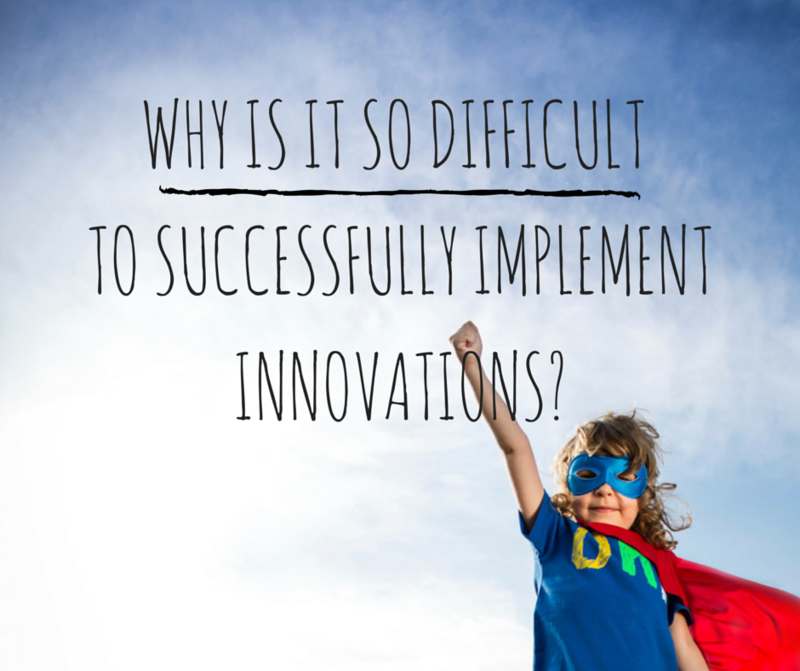 Why is it so difficult to successfully implement innovations? Seeing too many good ideas die motivated Thomas to create a company that helps companies, organizations and individuals to reduce the risk of failure and to grow their ideas, concepts and technologies. Motto: No idea shall ever die due to commercial failures. Thomas has a background in engineering and business. He has also worked as electrician. He has spent most of his career working at interfaces: business vs. technology; culture vs. business; old economy vs. new economy. Based on this experience Thomas is convinced that real innovations arise when divers areas collide and diversity is given. Besides work, Thomas spends most of his time with his family. He is married and has two daughters. 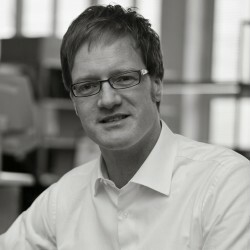 See more about Thomas in XING or in the other channels.